we are constantly improving the discovery. Right now, one of our focus areas is to improve the discovery in the storage area. As a first new feature in this focus area, we scan the ISCSI initiators, targets and sessions. 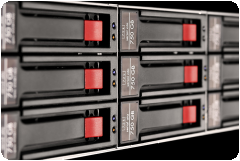 That provides detailed information about which servers uses what ISCSI target on what NAS or disk array. We currently determine the ISCSI sessions from VMware ESX, Windows, and Linux computers as well as for some SNMP disk arrays. 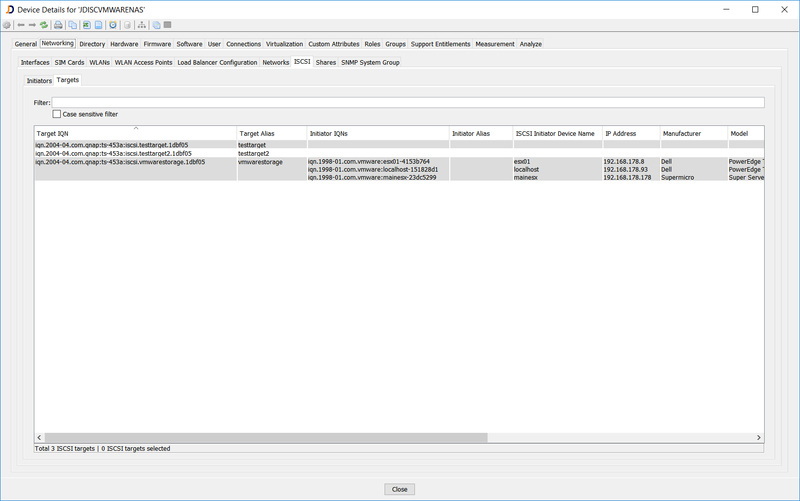 The device details dialog provides a new tab ISCSI within the Networking section. The ISCSI tab includes two subsections. One for the ISCSI initiators and one for the ISCSI targets. Besides the IQN and alias, the report also includes the connection sessions. But we also need your help. If you find some disk arrays or NAS devices that are supporting SNMP and we don’t detect the ISCSI targets, then please create a SNMP walk using the SNMP tool from our homepage, create a SNMP walk and then submit the walk together with a new ticket into our ticketing system. On the NAS side, you can see all the ISCSI targets together with the initiators which are connected to the target. The VMware target is mounted by three ESX servers. The new feature will be part of JDisc Discovery 4.0 – build 4047.